My name is Alyssa Palombo, and I am a writer living and working in Buffalo, NY. I attended Canisius College in Buffalo, where I majored in English and creative writing with a minor in music. I’m a classically trained mezzo-soprano who also dabbles in playing piano. When not writing, I can usually be found reading, hanging out and laughing way too hard at nonsensical inside jokes with friends, traveling (or dreaming of my next travel destination), at a concert, or planning for next Halloween. I’m a metalhead and a self-proclaimed French fry connoisseur. I also own way too many hoodies, pairs of sunglasses, and pajamas, but never enough books. I am the author of three historical novels, The Violinist of Venice, The Most Beautiful Woman in Florence, and The Spellbook of Katrina Van Tassel, all from St. Martin’s Griffin. 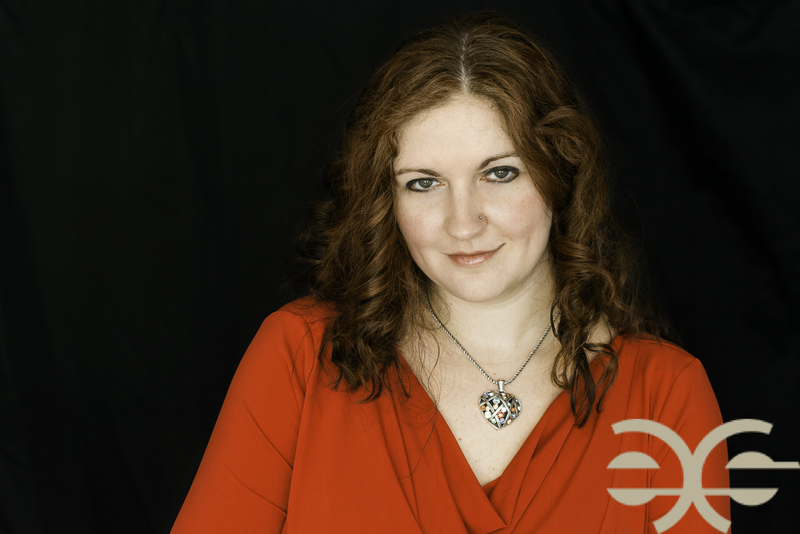 I am represented by Brianne Johnson of Writer’s House. You can find me on Twitter and Instagram at @AlyssInWnderlnd. I just finished your book, Ms. Palombo. Absolutely beautiful read…I completely enjoyed it. I will have a review on my blog on December 17. Hi Alyssa – I selected your book for my Book Club this month. I was struggling to find just the right book for this group of intellectual and worldly ladies and then I came upon “The Violinist of Venice” – what a delight. Dark secrets, intrigue, love, passion, human error, and beautiful music swirl around Venice in this amazing book. Thank you for providing us with such a classic book about Vivaldi, his love and his music. You have a wonderful gift as a writer. I would love to hear you sing. P.S. Your website is wonderful. I enjoyed reading about “The Most Beautiful Woman of Florence” and listening to all of the music and viewing the artwork. Thanks so much, Jill! So happy to hear that VIOLINIST is a great fit for your book club. Wishing you my best! Thank you so much! So happy you enjoyed! I just want to thank you for writing such an exquisite and beautiful book “The Violinist of Venice”. I was completely captivated and transformed and just could not put it down. I have been a full-time carer for my mum for over ten years until she passed away. Prior to that I had been an avid, three books on the go at any one time, reader but due to the stress and exhaustion of being a carer for my beautiful mum, I no longer had been able to read – nothing interested me, especially following her passing. Your book has changed that for me in ways I just cannot begin to explain. So apart from writing such a truly wonderful, original and rich story, I want to thank you for giving back to me my first true love. I cannot believe that you are a first time author. In all that will come to you following the publication (and hopefully made into a film) of your novel, never lose sight of your great gift. You are your own Vivaldi. I look forward to your next book and thank you so much for writing the “Violinist of Venice” it is a masterpiece. Thank you so much for your kind words! It really means a lot to me that my book affected you so. Thank you for reaching out, and best wishes to you! You’re too kind! So happy that you’re enjoying the book! 🙂 I will have a second historical novel out from St. Martin’s called “The Most Beautiful Woman in Florence: A Story of Botticelli”. I don’t have an official release date for that novel yet, though. Keep an eye on my site, as I’ll be posting any updates as soon as I can! A beautifully crafted story that made my heart sing and cry in equal measures. I look happily forward to your next book. I loved THE VIOLINIST OF VENICE too. My review is in the link below. So exciting to hear you have another book coming out. Oh hmm, so sorry if I missed one! I believe I did see your review around release date; thank you so much! So happy you enjoyed THE VIOLINIST OF VENICE! Hello, and Blessings of the Day! Thank you for THE VIOLINIST OF VENICE! It was thoroughly enjoyed. I was a part of their families, vacationing for the few days in Venice. And it was wonderful! To read of Vivaldi, of his beloved Venice, to learn more about his incredible music. And, then, to read of the plausible story of his daughter. And, then, to find you’ve another book to look forward to! Fab/fan/fun! What a terrif bonus! I am thrilled! Your writing skills are indeed superlative. Thank you so much! I’m so happy you enjoyed the book, and hope you like the second one if and when you read it! Thank you so much for your kind words! I’m so happy you enjoyed the book. There are LOTS of historical fiction authors I love, but some favorites are Philippa Gregory, Sarah Dunant, CW Gortner, Kate Quinn, and Jennifer Laam. I usualy love happy ending romance history novels and was suprised with the story i got in my hands. Didnt like it at first couple of pages but i got hooked on the storyline. I was mad at you because the story didnt go the way i wanted to. Then i realised, i loveeee it. No clichés even tho its a fatasy and i love the fantasy you got from a real life person (which i didnt like at first as well). It forced me to google Antonio and Anna and it all makes sense with real history and book storyline. Every single page of the Violinist is a gold and the way you transfered music on a paper gave me a goosebumps. That is the first time.i actualy heard the music. Ciao cara Alyssa, Brava,Brava, Brava for The Violinist of Venice! It is one of the best books I have ever read!! Actually I read it in Italy last year! Wow! Fantastico!!! I adore Vivaldi and Venice. I have stayed there many times and will be there again this July, 2017. I will for sure go to a Vivaldi concert in the Santa Maria Pieta and visit Chiesa San Giovani! I can’t wait! Now anxiously awaiting your new The Most Beautiful Woman in Florence! It will travel with me to Italy this summer!! Grazie mille! Keep writing! Dio Benedica! Grazie mille, Patricia! So happy to hear that VIOLINIST traveled to Italy with you and that you enjoyed reading it! 🙂 Happy travels this summer, and I hope you like THE MOST BEAUTIFUL WOMAN IN FLORENCE! Dear Alyssa, I am amazed. The book became part of my life. I really enjoyed it. My professor of Literature gave us a coursework with this topic: “My novel”. We have to write which is the novel which has an influence on us. I didn’t know which one to choose and then I found The Violinist of Venice. I started reading it and after a while I realized that my coursework was done. Thank you! Thank you for the amazing book and for the inspiration! Hi Mirela! Thanks so much for your kind words. I’m so thrilled that you enjoyed the book, and that you were able to use it in a class! Wishing you all the best. I look forward to the release of The Most Beautiful Woman in Florence. I see it is coming out in paperback. Will there be a hard cover copy as well. Hi Cindy, so glad to hear you’re excited for THE MOST BEAUTIFUL WOMAN IN FLORENCE! It will be released in paperback and ebook formats, no hardcover. Just finished The most beautiful woman. I enjoyed it very much. Like your style of writing, the ease with which it reads. Kept me interested all the way through. I read in the early morning so it was an insensitive to get up and read like something that was calling me. Going to read your other book The violinist in Venice. Thanks so much, Monica! So happy you enjoyed THE MOST BEAUTIFUL WOMAN IN FLORENCE, and I hope you like THE VIOLINIST OF VENICE as well! I just finished reading The Most Beautiful Woman in Florence and absolutely loved it!! I took a class that involved authenticating historical fiction (for my teacher certification), so I really loved that you included the author’s note explaining which liberties you took as an author and which details were fact. This book makes historical figures seem relatable, which I think is fascinating and so important!! Hi Madi! Thanks so much for your comment, and for reading. I’m very happy to hear that you enjoyed the book and found it interesting and relatable! Best wishes to you! Just grabbed your book from lib & absolutely loved it!! Made me imagine Venice & Vivaldi more! As I myself love music/instrumentals & ofcourse Itlay! Although I understand Adriana is a fictional character, I still think her abandoning Anna at Vivaldi’s death was cruel & insensitive also contradicting her passion for her own step brother whom she was so devoted to! She should’ve revealed to Anna after she wanted to know who her mother was! Leaving her in the lurch just showed that her love died with Vivaldi & all associated to him! These are just my thoughts! All in all your book is amazing read!! Just what I needed while off from work!! Looking fwd to your other book now!! Hi Nadia! Happy to hear that you enjoyed the book. As I’ve heard from readers it seems that everyone feels differently about the ending, which is interesting for me to hear. Hope you enjoy THE MOST BEAUTIFUL WOMAN IN FLORENCE should you read it! Alyssa, I have read both books and adored them. Do you have another book coming soon?? Could not put either book down. Keep writing !!!! Thanks so much! So thrilled you enjoyed my books 🙂 My third novel is entitled THE SPELLBOOK OF KATRINA VAN TASSEL and will be out in the US on 10/2/18. 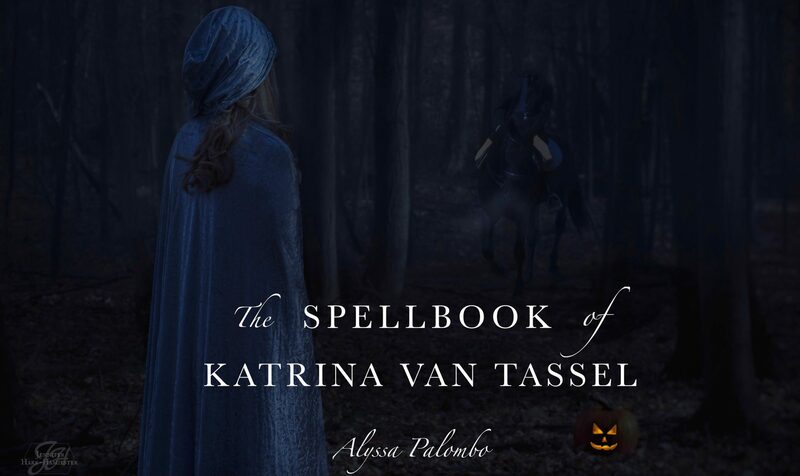 I have just completed reading THE SPELLBOOK OF KATRINA VAN TASSEL. I absolutely loved this book and did not want it to end, ever. Katrina comes to life through your writing, as she never did in the original tale by Washington Irving. I grew up in rural Pennsylvania where the Dutch were prominent and first heard the telling of “The Legend of Sleepy Hollow” by my Gram as I sat upon her lap at a young age. I both feared and craved hearing about the Headless Horseman over and over again, especially at Halloween. Halloween has always been my favorite holiday and I have passed this love to my children and now to my grandson. Thank-you so very much for this treasure, I have already passed the book onto my eldest daughter. This will only be the beginning of the book’s journey, first through my family and then my friends! My next books will be your first two books. Again, Thank-YOU! Thank you so much for your kind words! I’m so thrilled you enjoyed the book; that means a lot. Best wishes to you!